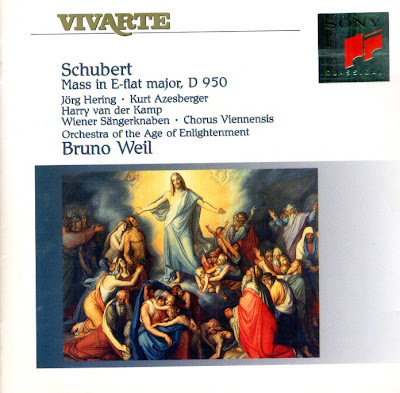 Prior to 1825, Schubert's forays into the field of the Latin Mass had been more or less conventional affairs, but in his sixth and final Mass, written during the last months of his life in 1828, he struck out in a totally novel direction in setting the Latin text to music. In none of his Masses, including the four early settings of 1814 to 1816, was he willing to exclude the idea of a wholly personal profession of faith in spite of his debt to traditional models, but opted instead for solutions that strike the modern listener as more than a little surprising and suggest a critical attitude to the articles of faith. Displays of mere magnificence were never an end in themselves even in the Mass in A-flat major, which he wrote between 1819 and 1822, and revised in 1825. 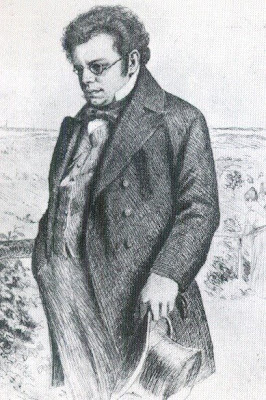 Although this last-named work was also designed to impress the imperial court, where he hoped to obtain the position of deputy Kapellmeister, there is no denying the very real sense of consternation that Schubert must have felt when working out the musical material, while the emphasis given to certain textual details is utterly individual and far removed from the everyday practices of the period, at least as they affected sacred music. The E-flat major Mass is meant to inspire fear rather than prepare its listeners spiritually and, in keeping with tradition, put them in the right frame of mind for the Sacrifice of the Mass. The CD was released by Sony, 1995 (DDD). SK 66255.